I guess I usually take a middle ground on this. I certainly wouldn't actively seek out more of that author's work. However, if I came across another of their stories and it appealed to me, I would be willing to give it a try and wouldn't reject it outright because of my previous experience with their work. All writers grow and change as they hone their craft. Perhaps I'd read one of their juvenile works initially and their writing has improved with experience. That said, if I read two and didn't like them, I'd be less inclined to attempt a third. A young man rode up the avenue to the Chateau de Mirandol at a gallop, the August sun bouncing off his hair and the sleek haunches of his hunter. Jules was reputed to have had a black, savage temper as a boy, never directed towards his new family, but close to the surface nonetheless. 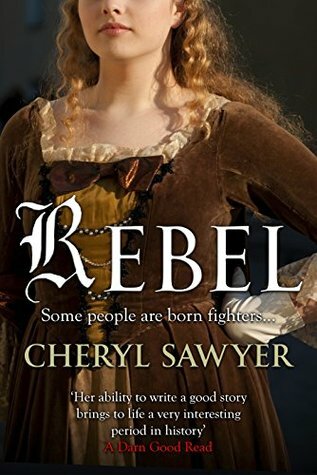 Having taken care of the homestead since her father’s death, the brilliant and beautiful Viviane de Chercy rebels against the man who is about to take away her home, her fortune and her freedom. The man, Jules, the Comte de Mirandol, has returned from the war in America to the very place where he first knew love, and lost it, years before. Desperate to escape her fate and the confines of Jules, Viviane stows away on a ship bound for the New World. Once there she falls in love: first with the city of her dreams, Philadelphia; and then, when Jules joins the buckskin-clad Virginian Riflemen at the Battle of Brandywine, another kind of revolution takes place in her heart. Their story plays out against the backdrop of real events in France and America in 1776: France's secret arms deals with Congress, diplomatic conflicts at Versailles, the campaigns of the continental armies and some of the key battles of the early American Revolution. Thanks. Cheryl Sawyer is always a good read! I love when authors combine real world events and fiction. Hope you enjoy your weekend! I like the sound of this one, even though I could wish for a stronger opening. But I love good historical fiction, and this one looks interesting. Thanks for sharing! Sawyer is a pretty reliable historical author. I've read three or four now and liked them all! So true! 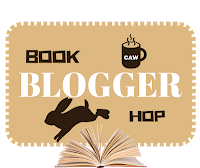 Authors do grow and hopefully their writing as well. I will definitely remember that and keep it in consideration before I give harsh judgement next time. Great answer. Thanks for sharing. Hope you had a good weekend, Elizabeth. Thanks for stopping by this week. Sounds like it's beautifully written! Happy weekend! And to you! Happy Reading! That's a very reasonable way to look at it! I wouldn't say it's a firm yes or no for me on whether I would continue or not, but if I don't like the writing style or type of book, I would definitely lean toward not trying that author again. I imagine that if something did catch my fancy though, I might be willing to try again. Thanks for stopping by. Wishing you a great week ahead. No problem, Lauren. Thanks for stopping by!